In 1937 the Luftfahrtministerium (German Air Ministry) issued a requirement for a single-engined three-seat tactical reconnaissance aeroplane, drawing submissions from Focke Wulf in the form of its Fw 189, and Blohm und Voss’s Bv 141 design. Much emphasis was placed on the need for good visibility, and in response the Bv 141 had a highly unusual asymmetric layout with the fully glazed crew nacelle offset to starboard of the centreline and a boom (carrying the engine at its front and a tail unit at its rear) offset to port. The first of three prototypes flew in February 1938, and were evaluated at Erprobungstelle Rechlin with sufficient success to extract an order from the ministry for five Bv 141A-0 pre-production aircraft. 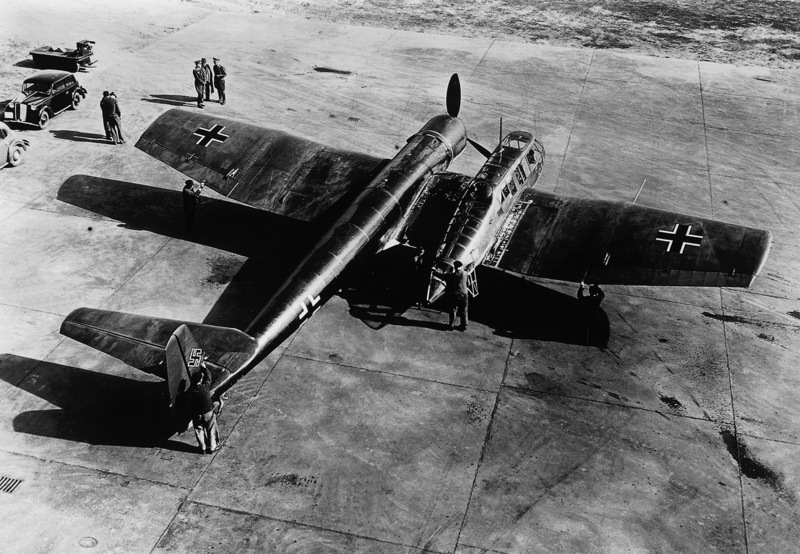 Evaluation was completed successfully, but the type had poor performance as a result of its use of the 645kW (865hp) BMW 132N engine and so the next five aircraft were redesigned Bv 141B-0 machines with an uprated powerplant as well as a strengthened structure and a revised tail unit. These aircraft were used by the Aufklärungschule 1 for service trials over the UK and the USSR from the autumn of 1941, but there were development delays because of persistent hydraulic problems and the programme was ended in 1943.